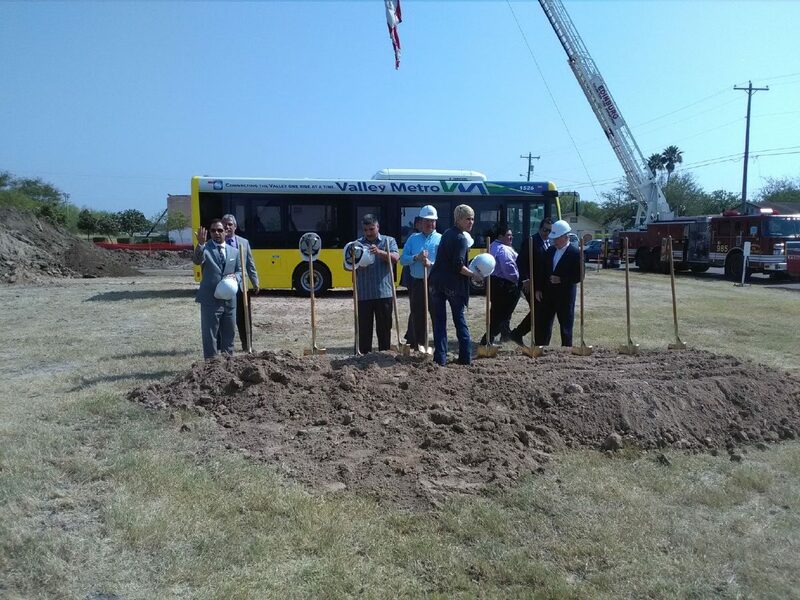 The City of Edinburg, the Edinburg Economic Development Corporation, the Lower Rio Grande Valley Development Council broke ground for the construction of the multi-use transit terminal Friday morning. EDINBURG — A project, more than a decade in the making, is one big step closer to the finish line. 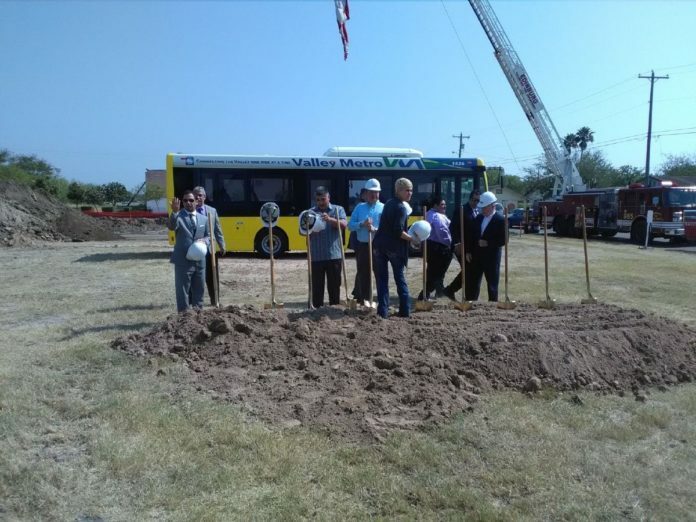 Edinburg city officials have been trying to build a multi-use public transit facility since 2004, Mayor Richard H. Garcia said at a groundbreaking ceremony for the project Friday morning. The gazebo, along with the new two-story facility, is part of the city’s attempt to revitalize Edinburg’s downtown area and create a public promenade. City officials began crafting their vision with the aid of a master plan, which began with the construction of the new city hall on McIntyre Street. The 16,000-square-foot facility will sit on a 1.6-acre tract of land wedged between the University of Texas Rio Grande Valley and the Edinburg City Hall at 617 W. University Drive. The Edinburg Economic Development Corporation purchased the land in 2010 for about $350,000 and donated it to the Lower Rio Grande Valley Development Council, which oversees Valley Metro, the Rio Grande Valley’s public transportation system. Garcia said the land purchase was a good investment because LRGVDC will invest about $4.3 million on the facility through a federal grant. As part of the agreement with the federal government to spur economic development, the EEDC agreed to move its offices to the new building located just a few blocks east. The hub’s location will make it ideal for commuting university students, offering a variety of other services, including a retail section and a kitchen incubator. There will be five kitchen areas where budding entrepreneurs will be able to spark their creativity and cook their way into business. City officials also hinted at the possibility of one day becoming an anchor for a potential light rail system. And an existing railroad track near the area gives Edinburg an edge over other locations, he added. “Public transportation is vital to the entire world,” Garcia said.